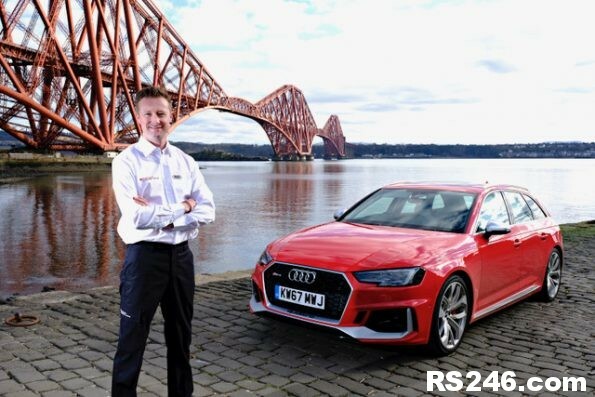 Scottish race ace Gordon Shedden has been testing the limits of the new Audi RS 4 Avant ahead of his first race as a factory-backed Audi Sport driver. 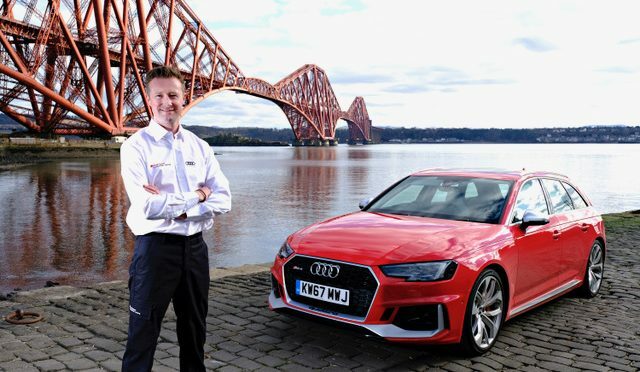 The 39-year-old three-time British Touring Car Championship winner’s Audi race debut in the FIA WTCR series gets underway on 7/8 April, when he will be competing for Belgian team WRT Racing in Morocco. Having tested the 450PS Super Avant during the height of the big March freeze, “Flash” has had plenty of opportunity to exploit the full potential of its quattro system and standard sport rear differential on challenging Scottish roads and around the famous Knockhill circuit. He is already an ardent fan of the car’s ‘no compromise’ combination of performance plus practicality and considers it the ultimate daily transport between racing commitments. Going back to its roots with a V6 twin-turbo TFSI that echoes the evocative powerplant of the original B5 RS 4 Avant, the latest car benefits from a significant boost in torque to 600Nm, all of which is available from just 1,900rpm to facilitate a 0-62mph sprint of just 4.1 seconds and a top speed of up to 174mph. Shedden logged his first laps in the RS 3 LMS last month at Zandvort (NED). In TCR configuration, its proven four-cylinder two-litre TFSI delivers up to 350PS, enabling it to hit 62mph in approximately 4.5 seconds and top out at 165mph. Power is channelled to the track via a six-speed sequential racing transmission and a multi-plate limited slip differential.